YOLO Tells Momo to F.O. 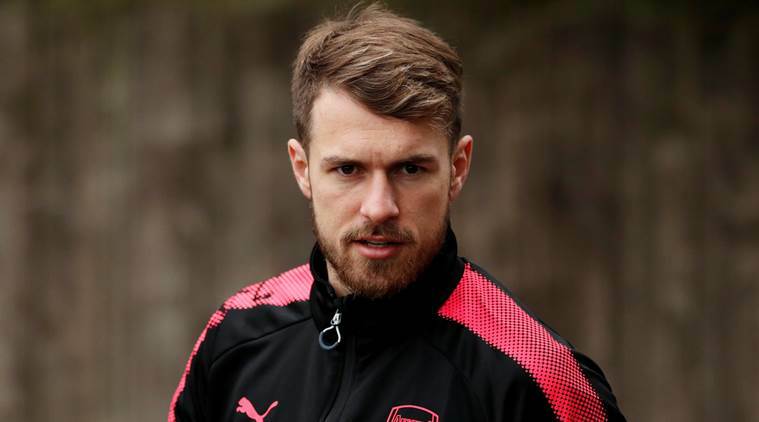 Arsenal and Wales footballer, Aaron Ramsey, is today being questioned by Metropolitan Police detectives over a spate of celebrity deaths. It is alleged that Mr Ramsey is connected to a series of celebrity deaths dating back to 2009, with victims including Whitney Houston, Ted Kennedy and Bruce Forsyth. The footballer played and scored twice for Arsenal last night, in the Europa League against CSKA Moskow, and once again a celebrity died moments after the Arsenal player found the back of the net. Darts legend, the Crafty Cockney Eric Bristow, was pronounced dead from a cardiac arrest. He was only 60. What started as an online joke, about celebrities dying within moments of Ramsey scoring, has quickly gathered pace, and has now aroused the suspicions of the police who are believed to be questioning Mr Ramsey today. The first celebrity to die was Ted Kennedy, who passed away on August 25th 2009. He died just days after Ramsey scored against Portsmouth. As this was an isolated incident, no action was taken. However, over the years Aaron Ramsey’s goals have coincided with a statistically improbable number of high profile deaths. These deaths have included David Bowie, Paul Walker, Steve Jobs and even Osama Bin Laden. Internet conspiracy theorists have surmised there is a ‘Ramsey curse’, but most people have brushed it off as just coincidence. However, with this latest death the police have received such a high volume of reports from members of the public that they have been forced to investigate. When I saw a notification on my phone that Ramsey had scored I thought ‘oh no, who’s next’. Within minutes I received a BBC News update that Eric Bristow had died. I knew it couldn’t be a coincidence and I had to do something. I called the police. The police received no fewer than 27 different reports last night from worried members of the public who believe Ramsey is somehow affecting the celebrity deaths. After receiving so many reports from members of the public we had to investigate. Mr Ramsey is currently helping us with our enquiries but he has not been charged with any crime as yet. Lover of red wine, real ale, Liverpool FC and most things geeky. Darren has been pottering about on the internet since the late 90s, and helps businesses increase their online presence through his agency Engage Web. The Chester Bugle provides you with the latest news from Chester, Ellesmere Port and the surrounding towns too small to bother mentioning. You know where they are.